Have You Ever timed Your Work Activities? You will be amazed when you will learn the actual time you take to complete a task. When I started timing my activities, I learned that I am spending more amount of time on certain activities than I should. And I used that to free up my time. Now that’s a huge amount of my day time. I would say, eggtimer, allowed me to prepare better reports [i.e. more quality time was spent in preparing the report – since other task were reduced] in less time [since I had delegated part of my work]. Enter the time you think the task will take to complete and start the timer. 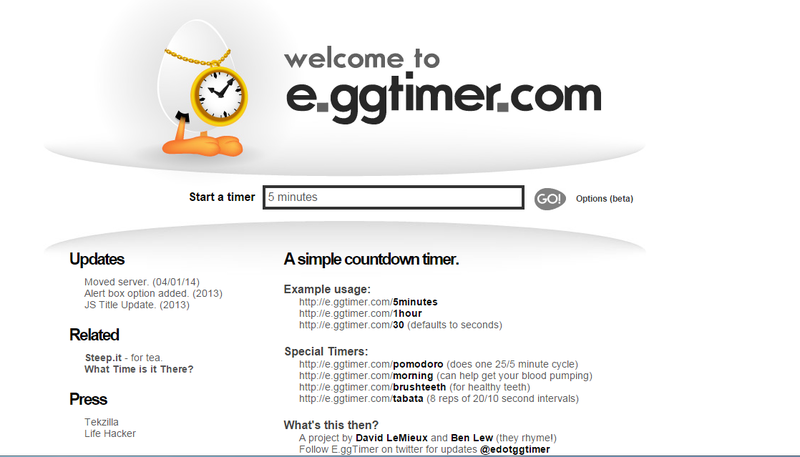 You will either complete your work before the time or the eggtimer will notify you that your time has expired!